The sixth edition of the European Paper Recycling Awards has come to an end. The awards ceremony, where the winners were announced took place on 18 October at the European Parliament. You can read our press release, a document describing the awarded entries and photos from the awards ceremony. The next edition of the awards will take place in two years time in 2019. If you wish to be informed, please send us an email to let us know. Lisa Kretschmann was appointed Managing Director of the European Federation of Envelope Manufacturers in April 2011. She started her professional career in Brussels in 2000 where she worked for European associations representing different industry sectors. She holds a Master degree in European Studies from Osnabrück University, an international certificate from the Institut d’ Etudes Politiques de Paris and graduated from a training in business administration with Siemens Nixdorf AG. Lisa is also a member of the Board of Print Power, an organization promoting the use of print in advertising. Lisa speaks German, English, French, Spanish and Dutch. Simona Bonafè ran as head of list of the Italian Democratic Party (PD) for the European Parliament election in May 2014 and was elected, for her first mandate, with the highest number of preferential votes among Italian MEPs. 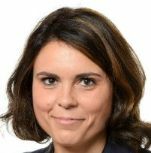 In the European Parliament she is a member of the Progressive Alliance of Socialists & Democrats (S&D) and sits as Member in the Committee for Environment, Public Health and Food Safety (ENVI), and as Substitute Member in the Committee on Economic and Monetary Affairs (ECON). She is also a Member of the Delegation for relations with the People’s Republic of China (D-CN) and of the Delegation for relations with the United States, Substitute (D-US). She is vice-chair and co-founder of the Parliamentary Long Term Investment Intergroup. 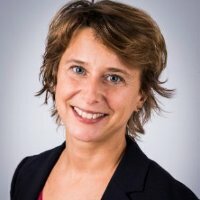 She is the European Parliament Rapporteur for the revision of the four directives contained in the Circular Economy Package.MEP Bonafè was elected to the Italian Lower Chamber in 2013, sitting in the Committee for Economic Activities and Trade. Prior to that, for over 10 years she was engaged in local politics in Tuscany, where she served as Municipal Council Member for Environment. 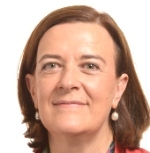 Inés Ayala Sender, is a Spanish Member of the European Parliament (MEP) within the Group of the Progressive Alliance of Socialists and Democrats (S&D). She was elected to the European Parliament in 2004, and she is currently on her third term. Last February she was elected Chair of the Delegation for relations with the Maghreb countries and the Arab Maghreb Union of the EU Parliament. Previously, she was a member of the Delegation for relations with the Mashreq countries. Before being elected MEP, Ayala Sender was a member of the Confederal Executive of the Spanish General Workers Union (UGT) with responsibility for social action (women, young people, social services, migration, environment, consumer affairs, social economy). Additionally, she also held various positions as Policy Adviser for the Socialist Group. Prior to joining the EP, she was appointed national expert in the Directorate-General for the Environment in the European Commission and of the European Economic and for Social Committee on combating exclusion. She holds degrees in Spanish and English Philology and studies in Law from the University of Zaragoza. Furthermore, Ayala Sender completed her postgraduate studies in Sustainable Development at the Université Libre de Bruxelles. Ferran joined Zero Waste Europe in May 2015 after several months of collaboration with the association. He has previously worked for the European Commission, supporting the design of policy alternatives to current waste-related legislation, for the Green European Foundation, spreading the main ecologist ideas and proposals at the European level and for GOB Mallorca on sustainable use of land and natural resources. Ferran holds a Master in European Studies from the Université Libre de Bruxelles. Rudi Bressa is an environmental journalist and natural scientist. From 2007 he has wrote about subhjects such as renewable energies, climate change and sustainability, from nature conservation to circular economy. He works with several national newspapers, covering stories about environment and ecology. He has also collaborated with national NGO’s to promote sustainable development. Over the years, he has interviewed some of the most influential personalities on the green economy, from Yvon Chouinard to Elon Musk, from Johan Rockstrom to Bill McKibben. The European Paper Recycling Award distinguishes between two main categories to ensure a fair comparison among the different entries. Information and Education: We are looking for projects and initiatives that were set up to raise awareness on paper recycling among a specific target group. Examples: a paper recycling school campaign, a municipality awareness-raising programme on sorting paper for recycling etc. Technology Improvement and R&D: This category includes innovative projects to improve paper recycling technology. To apply, please click check the Application section. The submission phase for the 2017 European Paper Recycling Awards is now closed. The winners will be announced at an awards ceremony to take place on 18 October at the European Parliament in Brussels. Click on online registration to register for the event! There are five previous editions of the European Paper Recycling Awards, which take place every 2 years. Registration for attending the awards ceremony is now closed. What is the deadline for submitting entries? The deadline is Monday 3 July 2017. Entries must be submitted online using the Application tab on this page. May I submit supporting materials? No, there is no fee to enter the European Paper Recycling Awards. How many awards are distributed? Are foreign-based recycling programs eligible to win the Paper Recycling Awards? No, only European-based business, community, and school recycling programs are eligible for the European Recycling Awards. When will the award winners be announced? Award winners will be announced in September on the ERPC website. Winners and runners-up will also be featured on the paperforrecycling.eu and the cepi.org websites. Should projects be completed before entering the award? Projects applying may be ongoing or completed, but they must not have started before January 2015.